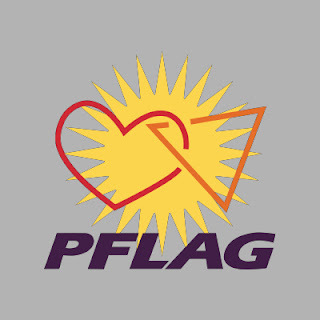 PFLAG the nation’s first & largest organization uniting LGBTQ people with families & allies celebrates their milestone 45th anniversary since its founding in New York City in 1973. Founded by Jeanne Manford an elementary-school teacher & mother of pioneering gay activist Morty Manford who marched by her son’s side at the 1972 Christopher Street Liberation Day March that became the New York Pride Parade carrying a homemade sign that said, “Parents of Gays: Unite in Support of Our Children.” When she was surrounded by people at the end of the march asking her to speak to their own parents the idea for PFLAG was sparked & nine months later with support from her son & husband, Jules, the first meeting of PFLAG was held on March 11th 1973 at the Metropolitan-Duane Methodist Church in Greenwich Village now the Church of the Village where approximately 20 people attended. Over the past 45 years, PFLAG formerly an acronym for “Parents, Families & Friends of Lesbians & Gays” has grown into a national organization with nearly 400 chapters across 49 states, the District of Columbia, Puerto Rico & on a U.S. military base in Germany with hundreds of other family & ally organizations around the globe, all inspired or quietly supported by PFLAG. Since its founding PFLAG has helped hundreds of thousands of families learn how to support their LGBTQ children & loved ones expanding to include similar work with loving allies who are also invested in equality for LGBTQ people. This doesn’t include the possible millions across continents who have used & tailored the model to make them culturally appropriate for their locales.